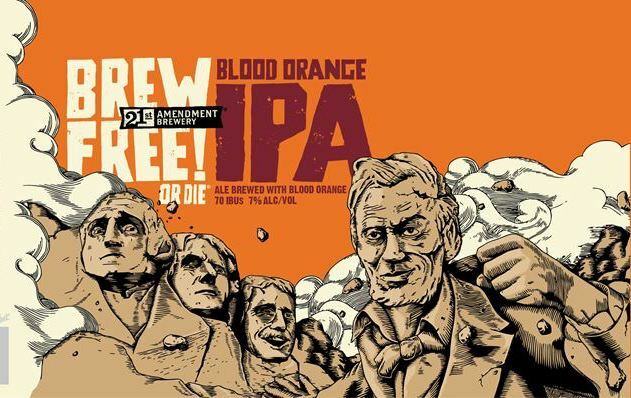 21st Amendment Brewery – 21st Amendment Brew Free or Die Blood Orange IPA – 12 oz. 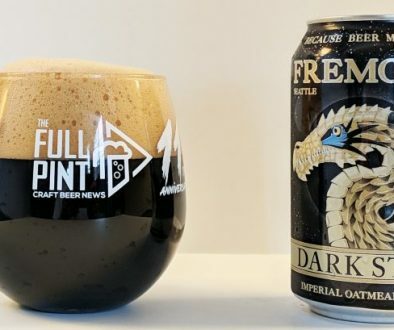 can poured into specialty glassware 7.0% abv. Pouring into the glass, this beer is lighter golden in color – a good sign – with sparkling, lively carbonation. Head formation is strong initially but retention is lower than expected. The high point of the beer, though, is the aroma, which is explosive with satsuma perfume and orange sherbet push-ups. I think it brings out the blood orange addition nicely. The flavor is quite bitter – focusing on raw citrus pith and rind. 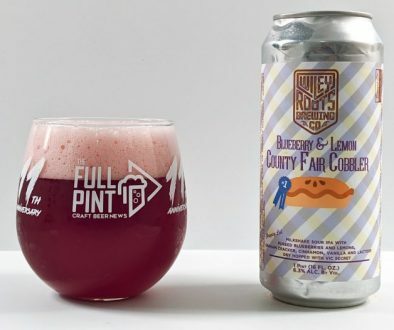 Though it comes across initially as too nutty and abrasive, eventually the flavor mellows out with a touch of malt-derived silkiness and lingering kettle hop bitterness. 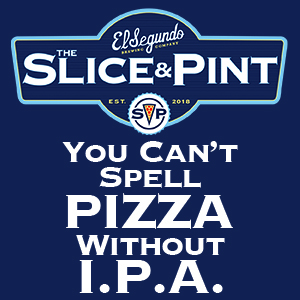 The body isn’t too heavy or filling like some IPAs. If anything, the blood orange addition is omnipresent and makes for an outstanding aroma and accentuates the bitter flavors. Overall, I think the blood orange version does an excellent job of changing the base beer in a positive way. 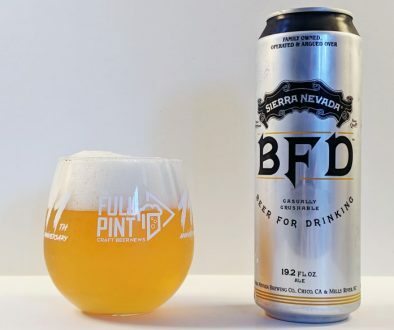 It seems well-integrated and offers some uniqueness within the large array of canned IPAs in distribution. Many blood orange beers I’ve tried in the past haven’t quite used enough of them to make a noticeable impact on the aroma and flavor. This one doesn’t have that problem. Modern Times Golden Pineapple IPA Four Brewers | UP UP and Away!